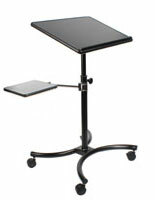 These adjustable shelf laptop stands are great for holding computers, projectors and other presentation supplies. 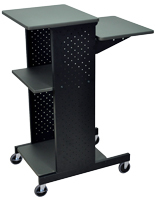 With their sturdy steel construction, the carts are made to withstand high traffic environments for years. 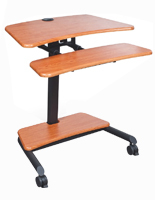 In addition, the laptop stands with height adjusting shelves come with a locking storage cabinet for keeping valuable materials out of sight. 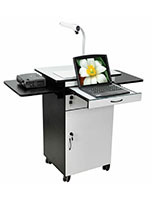 The steel workstations feature a total of (4) shelves for holding items, and one of these can move up and down from 32" to 40" high. 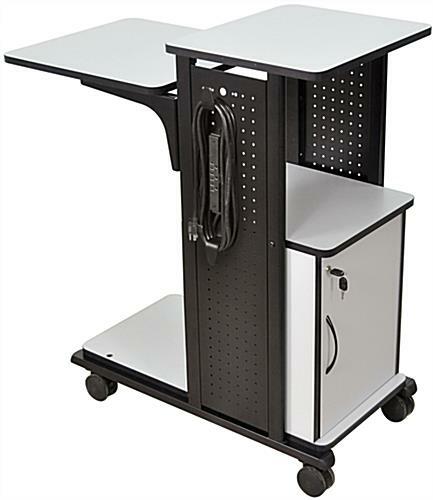 The computer stands feature a neutral gray powder coat finish that will match any office, school or library. 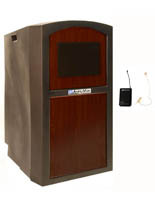 The carts with a locking storage cabinet additionally include a 3-plug power strip and 15' cord. 18.3" x 40.0" x 34.5"
13.8" x 18.8" x 13.8"